MALLORY IS TURNING 10, AND SHE'S PLANNING A SUPER SLEEPOVER! To celebrate her tenth birthday, Mallory wants to have the most super sleepover celebration ever! Mallory plans out everything to the last detail. As long as she promises not to let the fun get out of control, her parents agree to letting her friends sleep over. 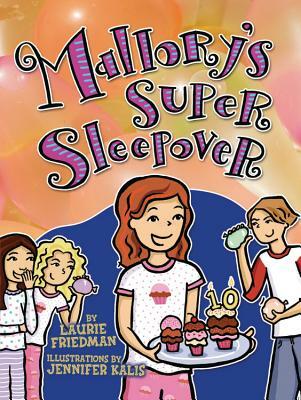 But Mallory s best friend, Mary Ann, has her own ideas about what a super sleepover party should include. Before Mallory can put a stop to things, uninvited guests show up, a water balloon fight gets out of hand, and a good friend has her feelings hurt. How did a super sleepover turn into such a super mess?